In just over a decade, Facebook has become a household name around the world for revolutionizing communication. Its services have forever changed how people interact with each other and businesses. However, recent events have raised questions about its dominance and influence over its 1.86 billion users. Its mere size raises the question of its ability to maintain growth, especially in the ultra-dynamic digital world. Here are three arguments for Facebook being so successful that its status can’t really be jeopardized and three more arguments that the company has already passed its high point. In Silicon Valley terms, a ‘unicorn’ is a tech startup company valued at over $1 billion. Facebook has become the model of this success, launching in 2004 and now worth around $680 billion and growing. Facebook has sustained its growth by building an all-in-one information empire, providing services that are hard to match. Its monthly users (over 2 billion) dwarf other social media giants including Youtube (1.5 billion), Instagram (800 million) -which Facebook bought in 2012 – and Twitter (330 million). Facebook’s real power over users is evident in its ability to keep them on its platform for longer times and for a greater variety of needs. By knowing its users and showing them what they want, Facebook has developed a habit-forming product that keeps users online every time there is a moment of boredom or an urge to check what’s new. The company’s endless tweaks to its algorithm aim to maintain that goal. In 2016, for example, the company changed the algorithms running its News Feed so that “things posted by friends you care about are higher up” in the feed. A testimony of its power can be found in the fact that more people are turning to Facebook as their medium for news consumption. Pew research shows that 44 percent of the US population consumed news from Facebook in 2016, compared to Youtube at 10 percent among online sources. The amount of Facebook’s users has allowed the company, along with Google, to put a stranglehold on online advertising, accounting for 64 percent of total market revenue in the US and 71 percent in the UK. With such targeting abilities over a massive user base, it’s easy to see why advertisers are pouring in money to obtain results that are harder to get from other platforms. Facebook has come under fire more than once for security breaches. Considering the amount of user information Facebook has access to, these breaches – recently culminating in a week of scandals, which left Facebook $60 billion poorer – could have severe impacts on everything from identity theft to election fraud. Data analytics firm Cambridge Analytica obtained personal information of over 50 million Facebook users without their consent, and used it to target individuals with ads in order to help Donald Trump win the 2016 election. As a result, Facebook is under investigation by the Federal Trade Commission, and a #DeleteFacebook movement is underway. 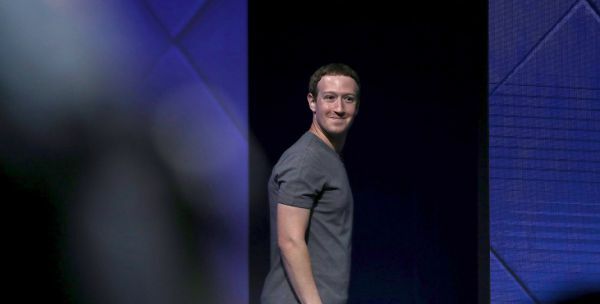 Additionally, Facebook willingly gave data on millions of its users to former President Obama’s second election campaign, which could be a major violation of federal campaign finance law. In light of all this, can Facebook really be trusted with its users’ personal information? One lone corporation should not have this much power at its disposal, and its shrinking user count attests to that. Over the past year, several instances have eroded users’ trust in Facebook. The launch of Facebook’s live-streaming service last year has resulted in unintended consequences as people have begun using it to broadcast killings, rapes and suicides. Facebook has also come under scrutiny for its inability to control a proliferation of fake news on its site. An Ipsos Public Affairs poll in January shows that 18 percent of respondents trust news on Facebook most of the time, compared to 44 percent who said they almost never do. Other tech giants are looking to advertisements for growth, and Facebook’s biggest competition could be Amazon. Morgan Stanley predicted the online retailer’s share of advertising will grow to 4 percent of the market by 2020. That still pales in comparison to Facebook’s 32 percent, but the head of WPP – the largest ad agency in the world – said Amazon poses a significant threat. Another factor is that investors are turning away from Facebook in search of the next unicorn. Instead of paying $150 per Facebook share, young users were the demographic most attracted to Snapchat parent company Snap’s initial public offering in March, valuing the company at around $24 billion. The bottom line: Facebook controls an enormous amount of personal and public information, giving it an advantage in the market that is very hard to match. But maintaining that level of dominance is almost impossible, and Facebook is facing mass criticism for privacy issues and influence that spiral out of the company’s control. Do you think Facebook will continue to grow, or is it already tumbling down from its peak?